It was a fab week for posts linking up last week, I love the variety of posts that I get to read. It makes it hard to choose just four posts to showcase! Writing a blog is a big commitment, there is so much that goes into it that people don’t see and a lot of blogs don’t make it past a year. I love to see bloggers celebrating the blog birthday. Clare at Mudpie Fridays, is a lovely person and her blog is amazing. She is celebrating two years of Mudpie Fridays, how cool is her blog name? Clare is a mummy to two gorgeous boys and she works too. I have no idea how she manages to fit it all, but she does and she is fantastic at it. Happy Two Years Blogging Clare! Louise is a wonderful mummy to her two girls, she is a parent to a heart warrior and a heart-healthy child. She wrote this beautiful post, The mummy I might have been: How did being a heart parent change me? We all follow a path in parenthood and not always a path that we choose, but we are given. Louise talks about how she has parented due to Jessica’s heart condition. She shares the positive things it has brought their life. Like living in the moment and making the most of life has definitely been a big positive for them and something that I think we could all do with doing. One of the most stressful parts of being a parent is birthday parties, the pressure is immense. I loved this post, 10 Reasons Planning a Kids Birthday Party is More Stressful Than Planning A Wedding. It’s so true, there is the cake to think about, how to entertain them and then not forgetting the all important party bag that can make or break the success of a party. And we have to do it every year! If you missed this one, you must pop over for a read. This was a really interesting read for me all about Friendships. Natalie shares with us a statistic that you have most of your friends when you are in your twenties than any other time in your life. This rang true for Natalie and is does for me too. I can count on one hand the friends that I have, but I’m ok with that. As Natalie says…They were friends of the time, rather than friends for life. What a great showcase it was this week. If you missed any of these, why not pop over and give one of them some extra love. I can totally relate to the birthday party post by Twin Pickle. We have another one to plan next month and I’m dreading it already! These sound amazing, going to take a look! 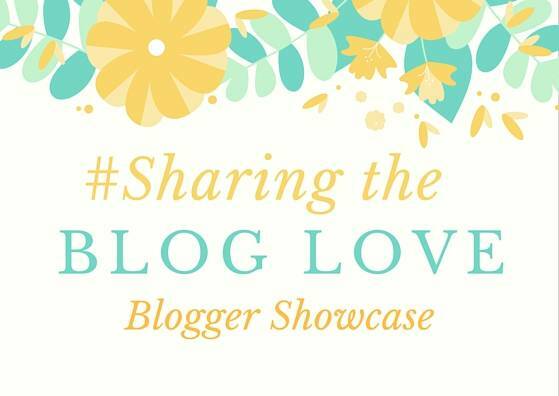 I just love the showcase – it’s such a great way to learn about other wonderful blogs out there. Thank you!